Towering over Waikiki is the natural wonder of Diamond Head State Monument. This extinct volcano is one of the most sought after attractions on Oahu and attracts more than 1,000,000 visitors every year. 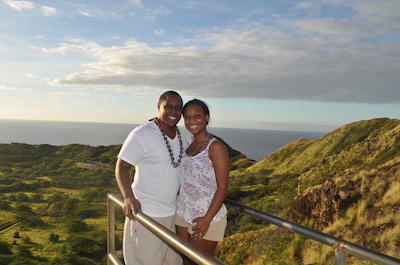 Most people decide to hike Diamond Head which is a moderate 2-hour climb and descent along a well-established trail. Diamond Head is a convenient outdoor adventure that is easily accessible from Waikiki and is packed with a variety of interesting things from big panoramic views once you are on the top to an informative visitor’s center to a relaxing hike through one of Hawaii’s most revered places. The Diamond Head Crater Adventure is an ideal way for you to experience one of nature’s wonders and one of Hawaii’s iconic attractions. Your 3-hour excursion begins with complimentary hotel pickup service where you will be transported to Diamond Head State Monument. Once here you will have free use of backpacks and a walking staff to help you manage this 2-hour hike. Your guide will explain pertinent facts about the surrounding environment of fauna, flora, history and geology of Diamond Head as you hike leisurely to the summit. Your total round-trip hike is around 1.4-miles and is suitable for most people. When you reach the summit of this 760-foot high crater, you will be amazed at the enormous views of Waikiki and the clear blue Pacific Ocean you will experience. An added bonus on this excursion to Diamond Head is that you will receive a t-shirt that proclaims “I climbed Diamond Head.” Your Diamond Head Crater Adventure concludes with complimentary drop-off service at your hotel. When you are ready to start your weekend off right while you are on Oahu, then you must try the romantic Oahu Fireworks Dinner Cruise. Your 2-hour Oahu Fireworks Dinner Cruise begins with complimentary hotel pickup service from selected hotels where you will then be transported to Kewalo Basin Harbor. Once on board a state-of-the-art sailing vessel, you will cruise from the harbor and start to enjoy your evening of fun. As you sail your captain and crew will give a full narrative of the area with interesting facts about Waikiki, Pacific Ocean and Diamond Head. You will be enamored by the big views of the sunset as the sky changes colors over the blue Pacific Ocean. During you sailing adventure you will be treated to a complimentary dinner which includes specialty cuisine from a shrimp cocktail to mahi-mahi with ginger butter to penne pasta with a macadamia nut pesto. 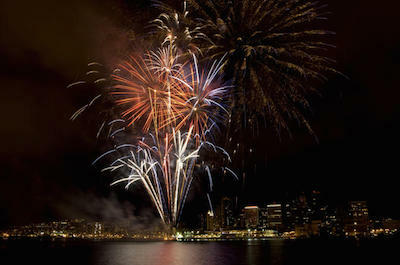 Your Oahu Fireworks Dinner Cruise also includes dessert and two free libations of your choice. When you are finished with dinner you will experience one of the best firework shows in the world which will leave you breathless as they explode above the Waikiki skyline. Your Oahu Firework Dinner Cruise concludes with complimentary transportation back to your hotel. If you are a first timer to Oahu and the Waikiki area then one of the better tours for you is a Waikiki and Diamond Head Segway Tour. Your 2-hour adventure has two departure times and begins when you meet your professional guide at the Waikiki Beach Marriott Resort and Spa where you will be given all the necessary equipment as well as training before you start this incredible experience. After you have mastered the art of navigating your Segway you will begin your adventure at the stunning Kahanamoku Beach. From here you will travel past the well-known Waikiki Beach until you reach Kalakaua Avenue where you will continue on your Waikiki and Diamond Head Segway Tour gliding past notable landmarks such as the Duke Kahanamoku Statue, the Natatorium and the Waikiki Aquarium until you reach the bottom of Diamond Head at Kapiolani Park. You will then travel down Diamond Head Road until you reach the splendid historic Diamond Head Lighthouse and Amelia Earhart Lookout. Once you navigate your Segway to the second lookout you will have spectacular views of the Koko Head Crater, the leeward coast of Oahu and the island of Molokai. From here you will glide down the coastline on your way back to Waikiki. At the various stops along your route, your expert guide will explain the importance of each site you visit. 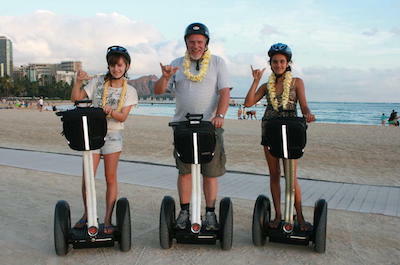 The Waikiki and Diamond Head Segway Tour concludes when you reach the Waikiki Beach Marriott Resort and Spa. 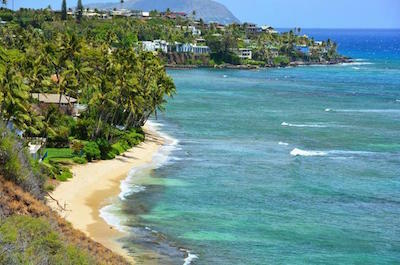 The Diamond Head Trikke Guided Ride is a stunning look at the scenery of Waikiki and the surrounding areas including a stop at a secluded beach. Your 2-hour journey has different departure times throughout the day and begins when you meet your guide at the Village Shopping Center in the center of Waikiki. After you receive instructions on how to use your electric Trikke Po-e 48volt bicycle you will be on your way through the streets of Waikiki stopping at various iconic places for photographs and interesting commentary from your guide. You will enjoy stunning views of Diamond Head and the Pacific Ocean as you glide to Queen Papiolani Park where you will pass by the Honolulu Zoo. You will continue on your adventure to Kaimana Beach and ride past some old historic English cottages, Surf Break and Tongg’s Beach where you can take a quick swim from the shores of this secluded beach. Once you passed these areas you will cruise to the Diamond Head Lighthouse and the Amelia Earhart Lookout where you will experience breathtaking views of the tropical landscape and Pacific Ocean. Your return trip will be just as exciting and packed with iconic sightseeing opportunities. Your Diamond Head Trikke Guided Ride stops when you reach the Village Shopping Center. 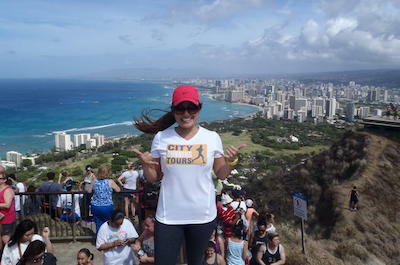 If you are an avid runner and want a challenging morning of exercise then you need to take the Diamond Head Running Tour. Your 2-hour running adventure begins at the Honolulu Zoo where you will meet other running enthusiasts and your professional guide where you will start your journey to Waikiki Beach. When you pass Waikiki Beach you will continue running on your 6.5-mile experience to the beautiful Diamond Head Lighthouse where you will have an incredible view of the Pacific Ocean and the Diamond Head Crater. Once you are inside the Diamond Head State Monument you will proceed to hike or run up this 760-foot mountain until you reach the summit. Here you will be awarded with spectacular 360 degree panoramic views of Honolulu, Waikiki and the Hawaii Kai. After taking sufficient photographs on the summit to assure a lifetime of memories, you will continue on your run to the Honolulu Zoo where your Diamond Head Running Tour concludes.